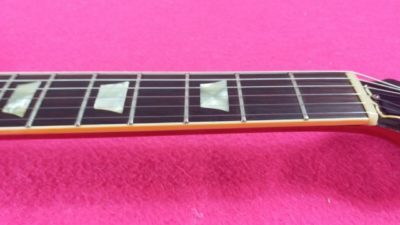 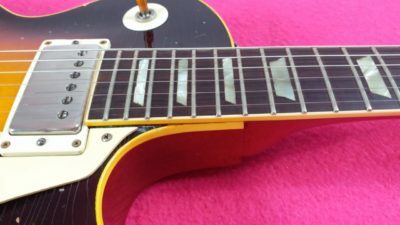 This conversion starts from an original 1952 Les Paul gold top in good conditions with no break or repairs, so NO TOP ADDED! 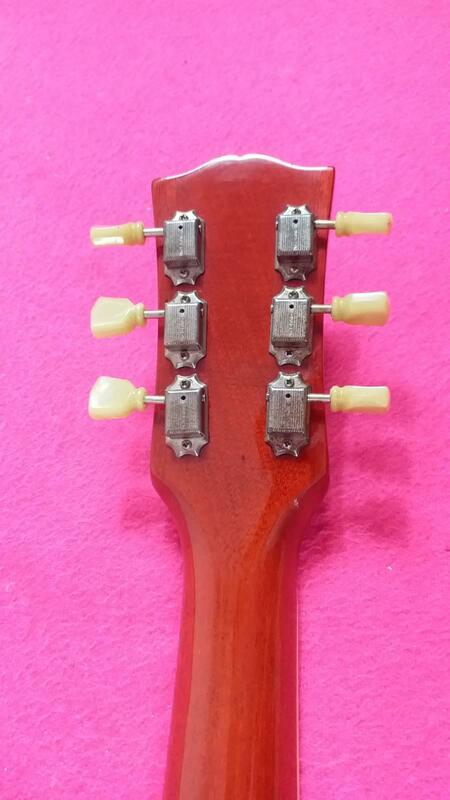 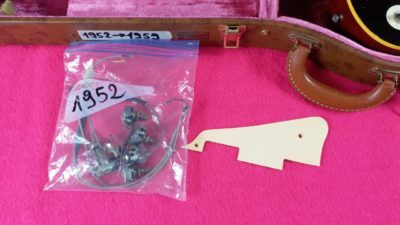 ORIGINAL 1952 PARTS: Honduras mahogany body & neck (no breaks or repairs) with original maple top, Truss rod cover & screws, Brazilian Rosewood Fretboard with Mother of Pearl inlays, Nut, Pickguard bracket & screws, Toggle tip, Pointer washers, Jackplate & screws, Strap buttons & screws, Back Plates, and screws. 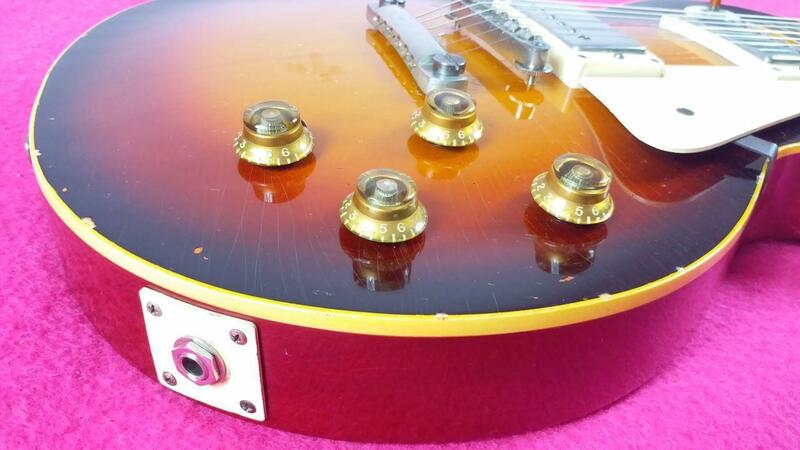 (Kept into the hard case: Toggle switch, Pots & Wiring). 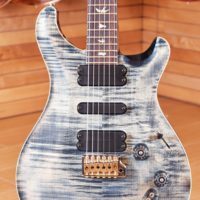 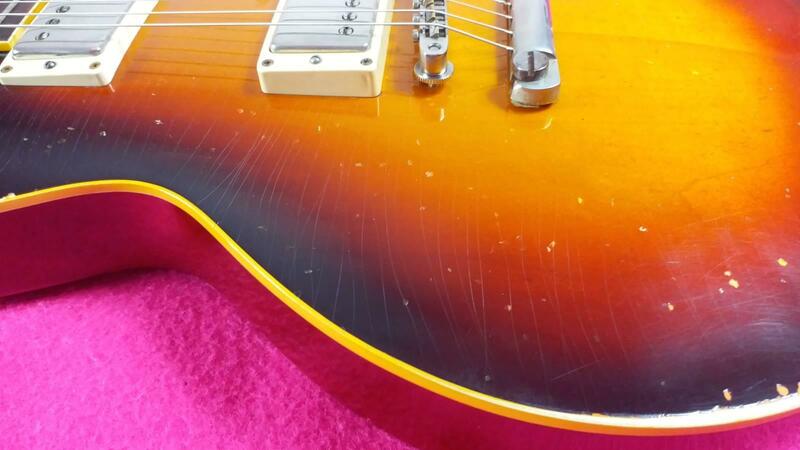 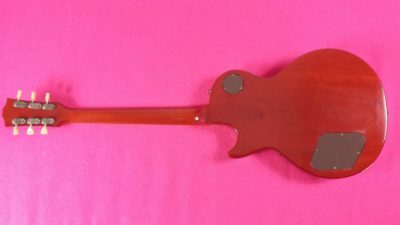 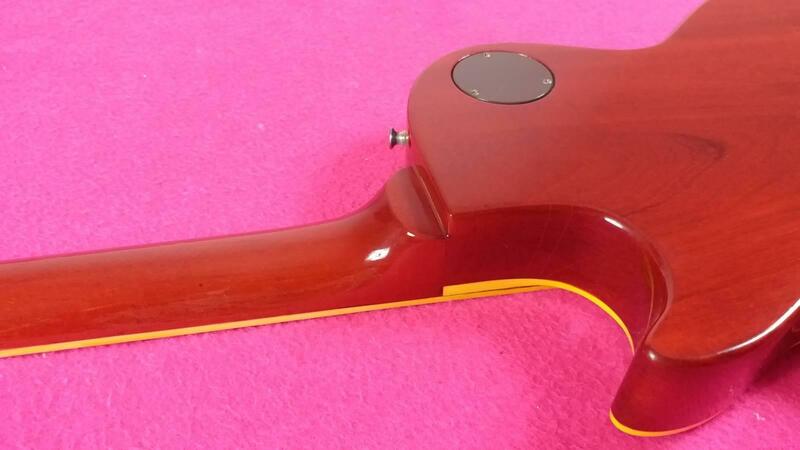 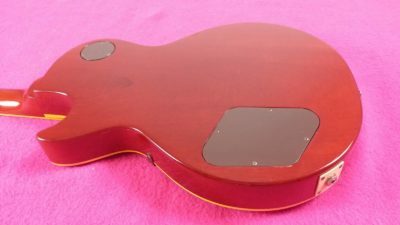 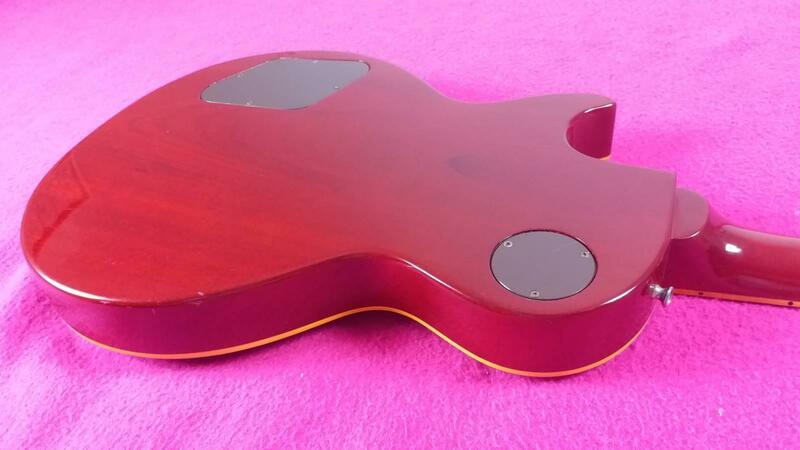 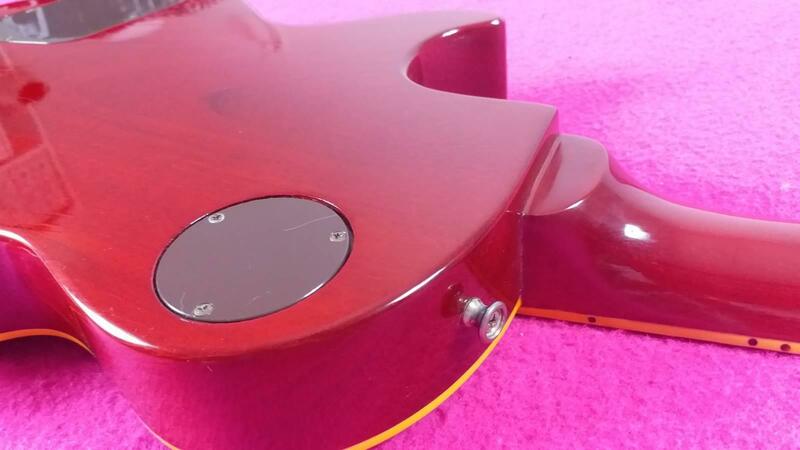 – The back was refinished by master luthier Brian Monty using nitrocellulose lacquer which has naturally cracked. 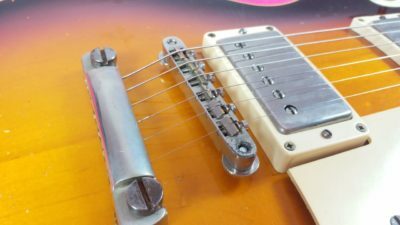 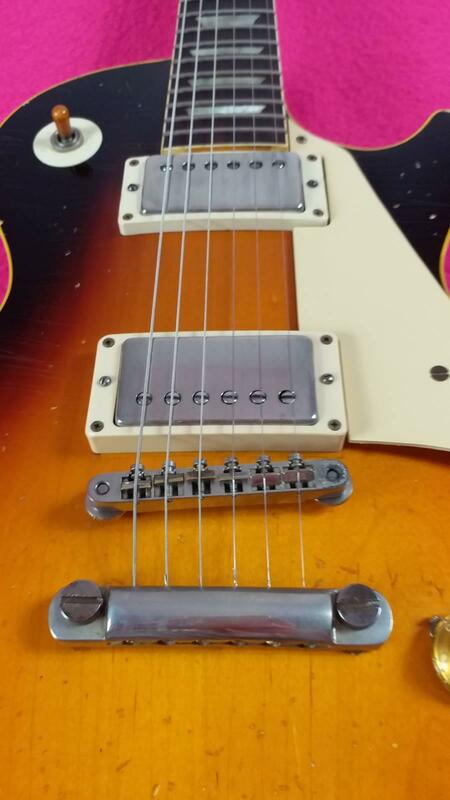 ORIGINAL 1959 ADDED PARTS: Tuners, PAF Pickups, Pickup covers, Pickup screws & springs, Pickup rings & screws, ABR-1 nickel Bridge with nickel metal saddles, Stopbar studs, Knobs, Toggle switch, Toggle plastic ring, Pickguard. Other parts: Stopbar (WSC Aluminium), 2007 CTS Pots & Wiring, Bridge thumbwheels & posts, Gibson vintage style Historic Hardcase. 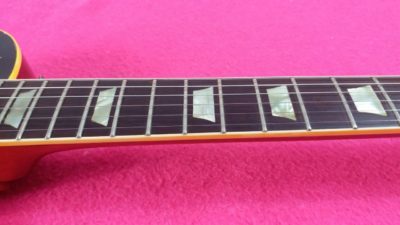 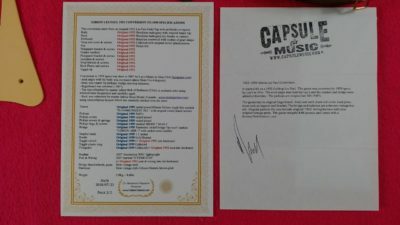 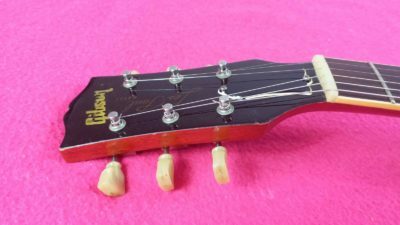 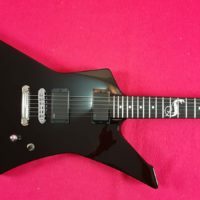 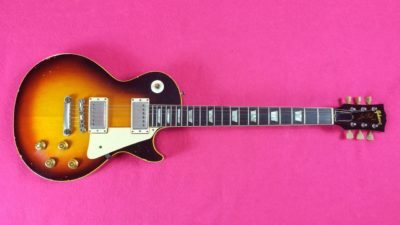 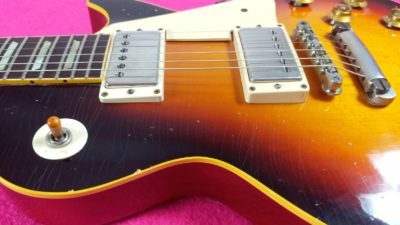 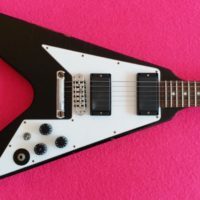 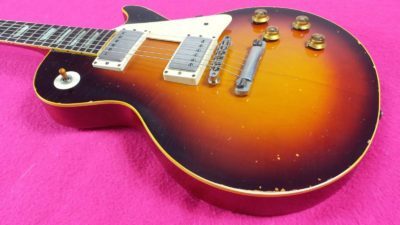 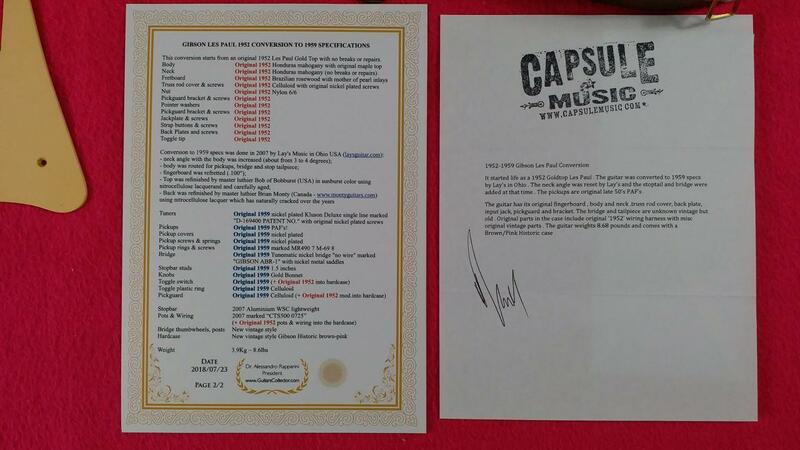 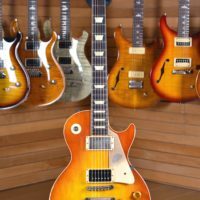 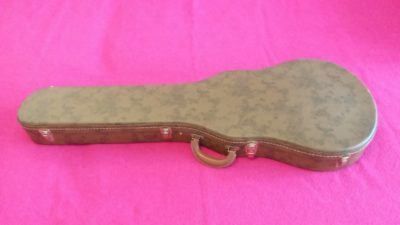 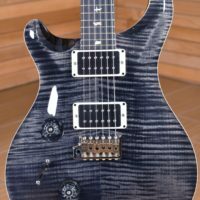 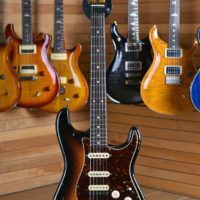 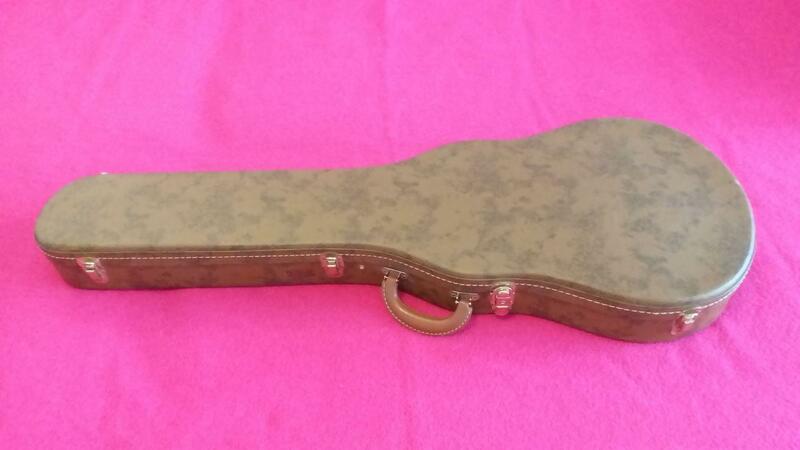 Don’t miss the chance to get the most similar guitar to a real 1959, at a very advantageous price! 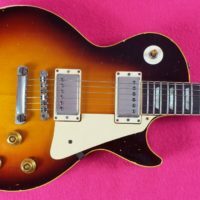 I have hundreds of pics, for more pics or info please contact me. 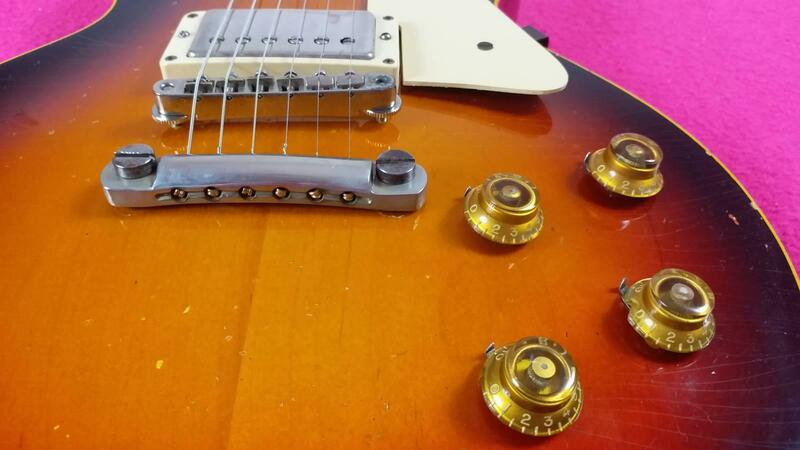 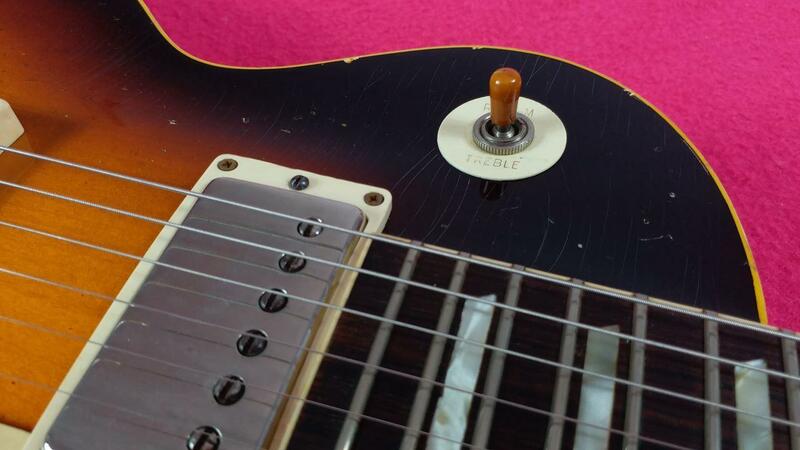 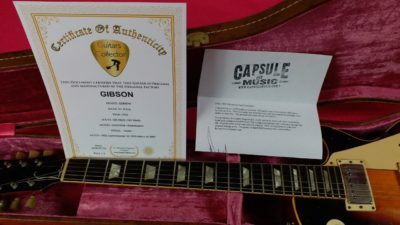 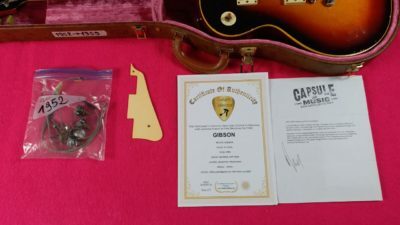 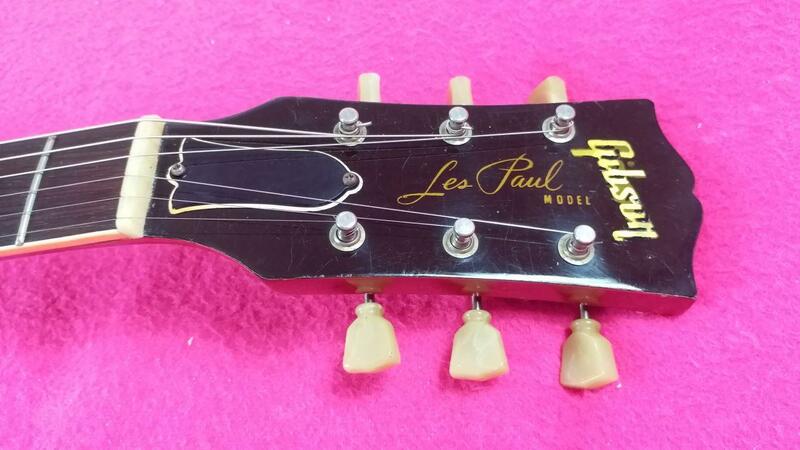 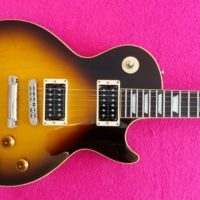 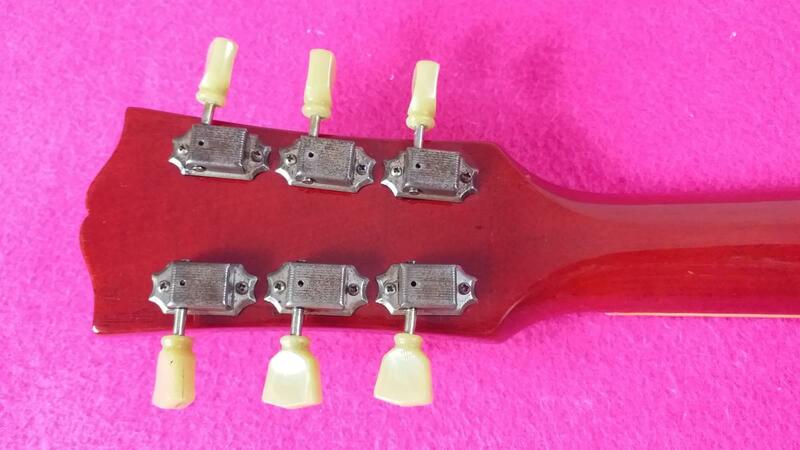 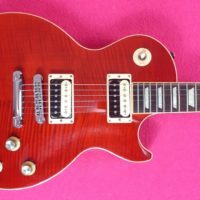 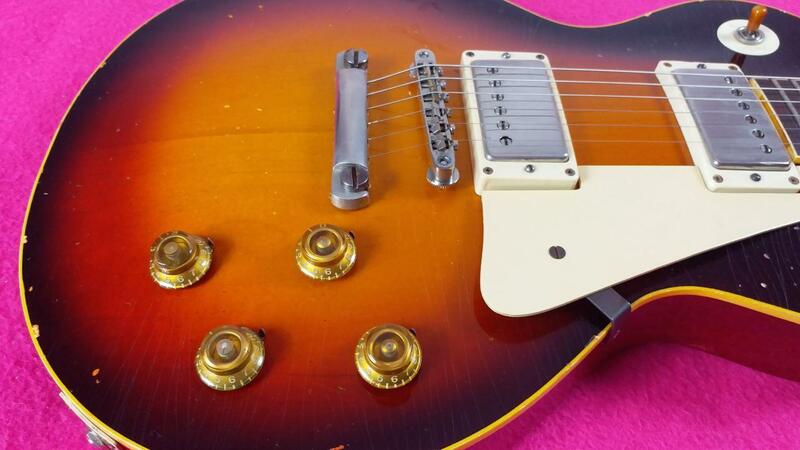 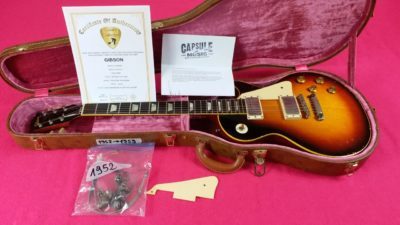 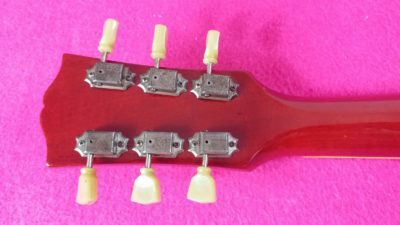 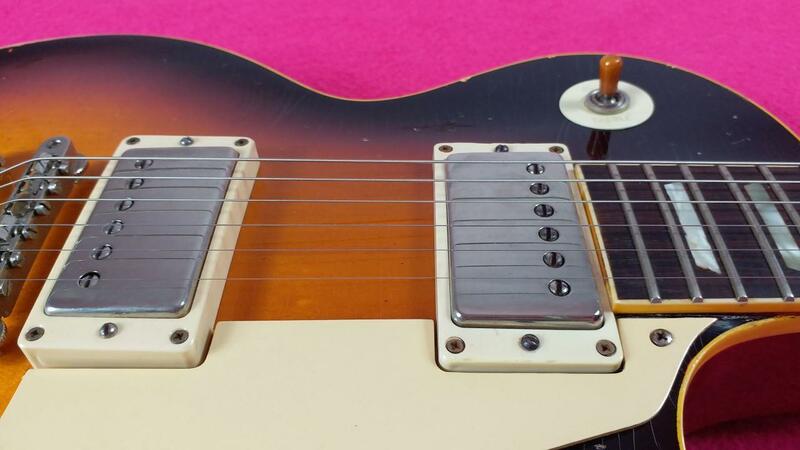 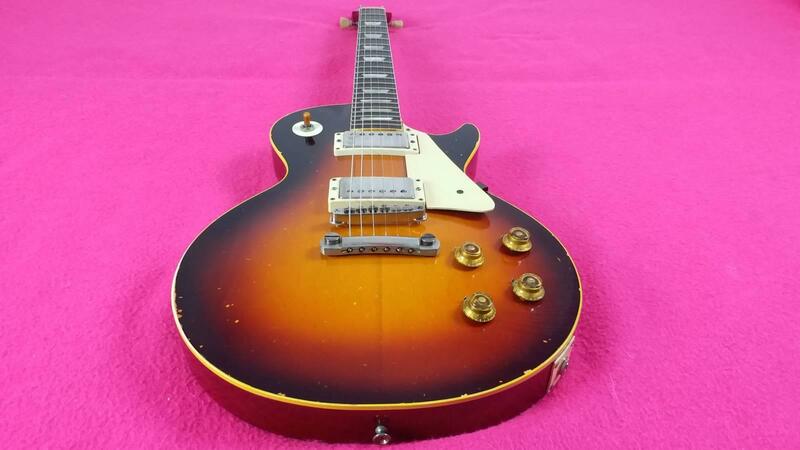 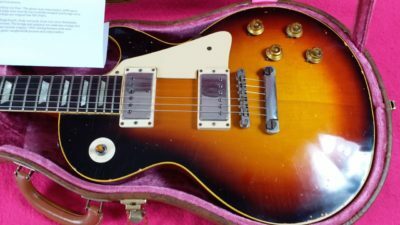 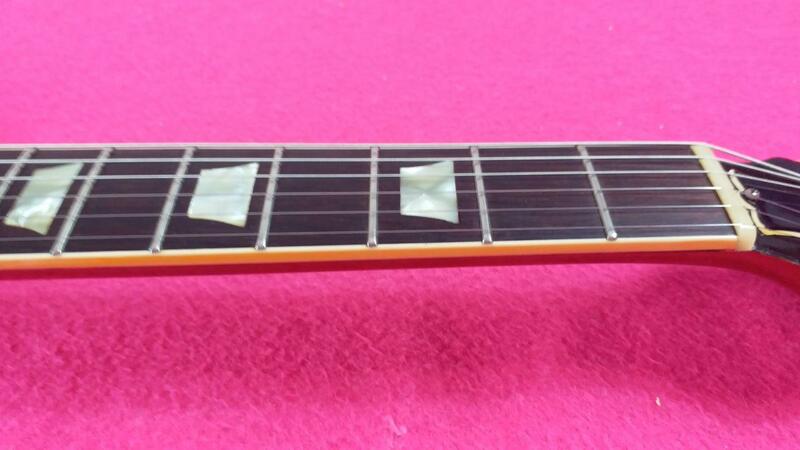 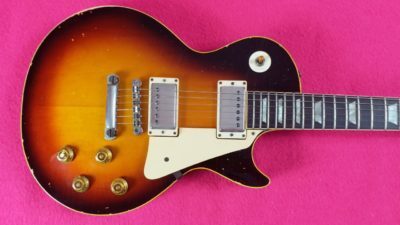 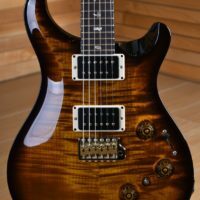 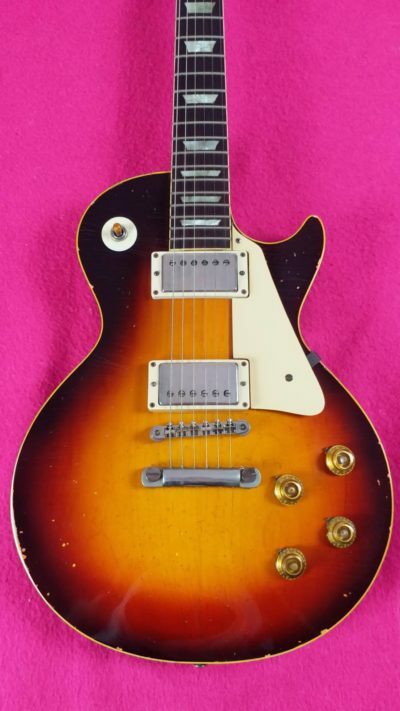 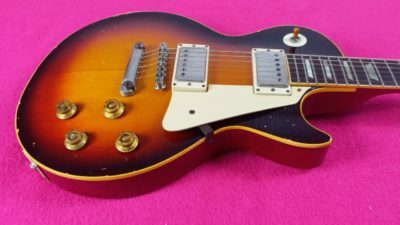 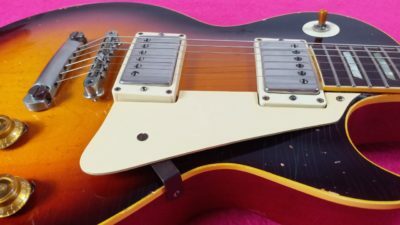 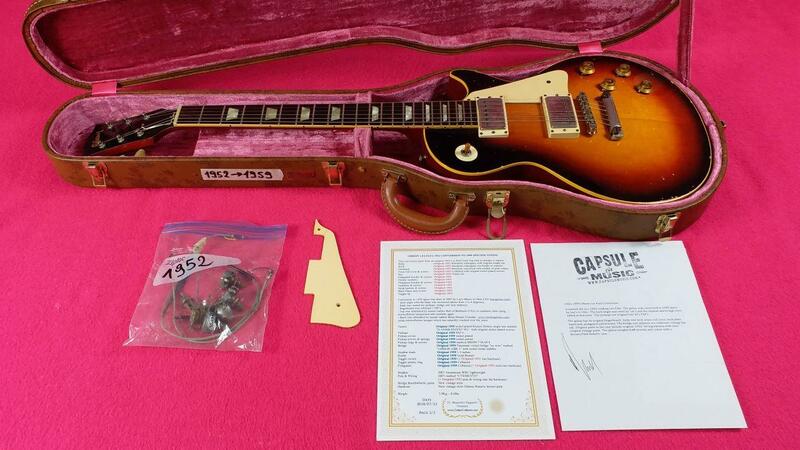 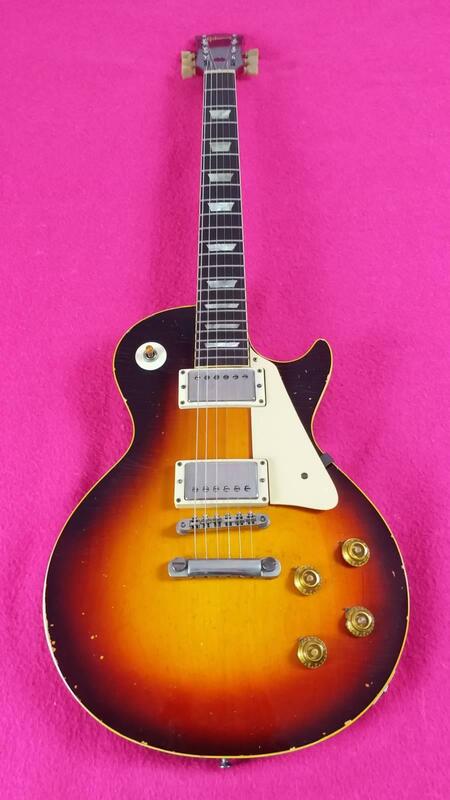 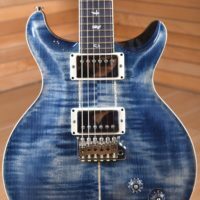 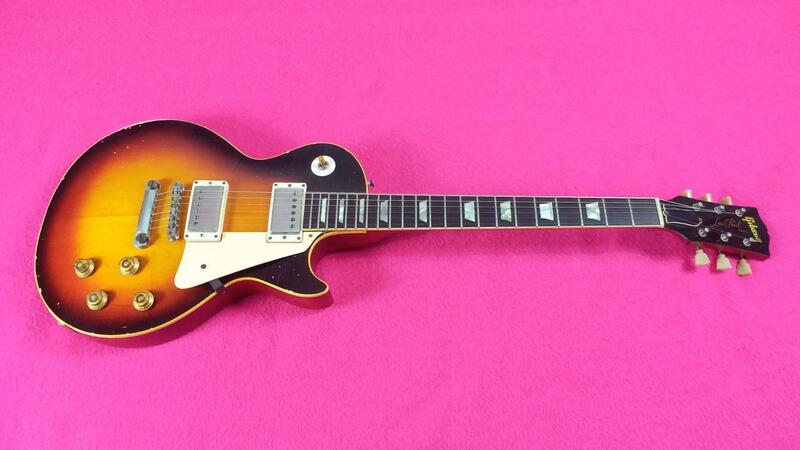 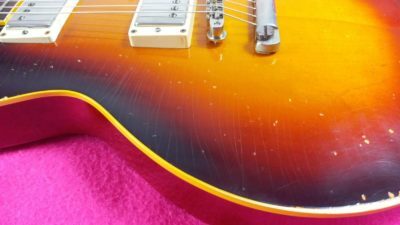 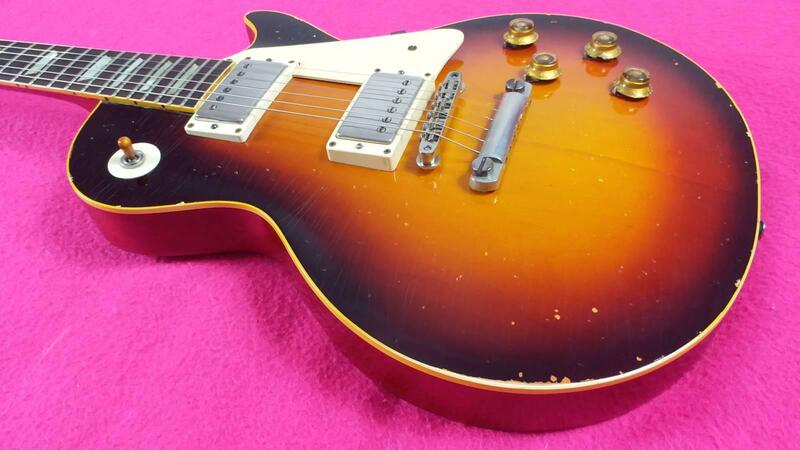 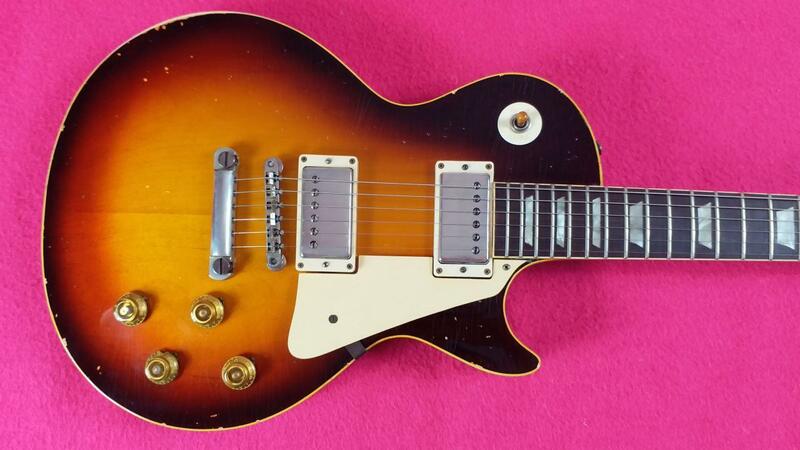 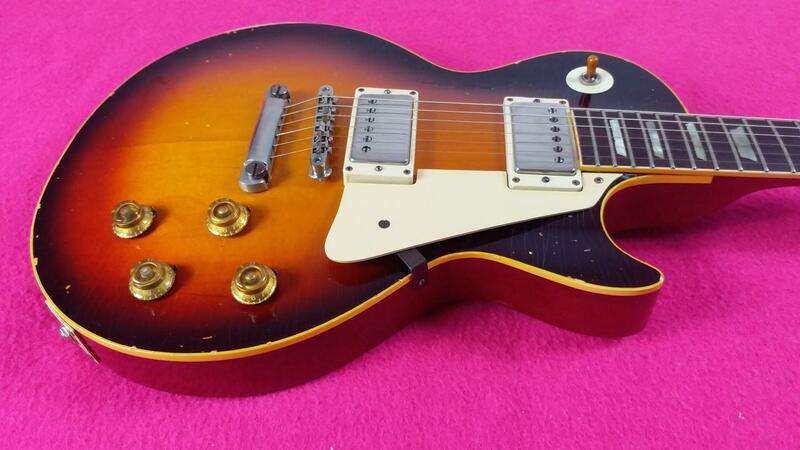 1 review for Gibson Les Paul 1952 conversion 1959 (no top added, Brazilian Rosewood, vintage PAF) The real Deal!